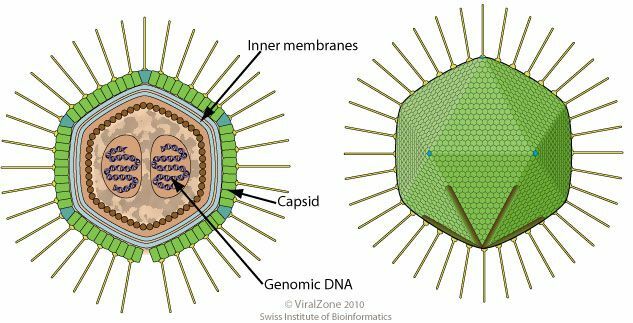 A Mamavirus is a virus belonging to the Mimivirus family which it resembles in size, the presence of fibrils, and its ability to infect amoebae. However, it has a slightly larger genome than the Mimivirus. It is also colonised itself by a parasite called Sputnik which may be the first virophage (a viralvirus.